Enjoy the easy-going Caribbean lifestyle and bird-filled gardens, as you leave the cares and concerns of 21st century life behind, at least for a while. South Caribbean coast near Playa Chiquita, just south of Puerto Viejo. Shawandha Lodge is open year round. 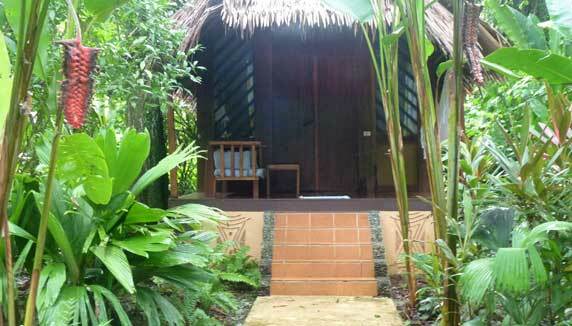 This lodge has the laid-back atmosphere that is typical of Costa Rica’s southern Caribbean region. There are no unnecessary frills, instead the accommodation is simple, wood and thatch bungalows, open-sided restaurant and lounge areas where you can sit and feel the cooling ocean breeze and listen to the waves. 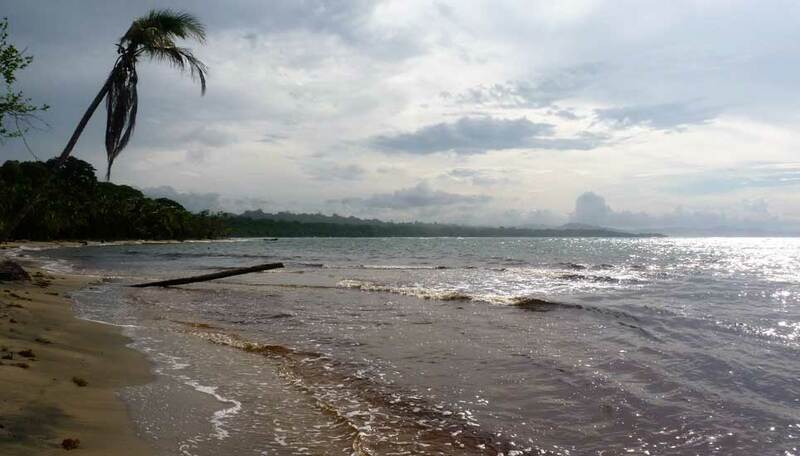 The lodge is a few steps away from Chiquito Beach, and the manifold attractions of Cahuita National Park are just a short drive away. Staff can arrange a variety of excursions and activities, though you may prefer to succumb to the soothing pace of life and take life easy, sunbathing by the pool and strolling in the fragrant gardens. Why go to Shawandha Lodge? 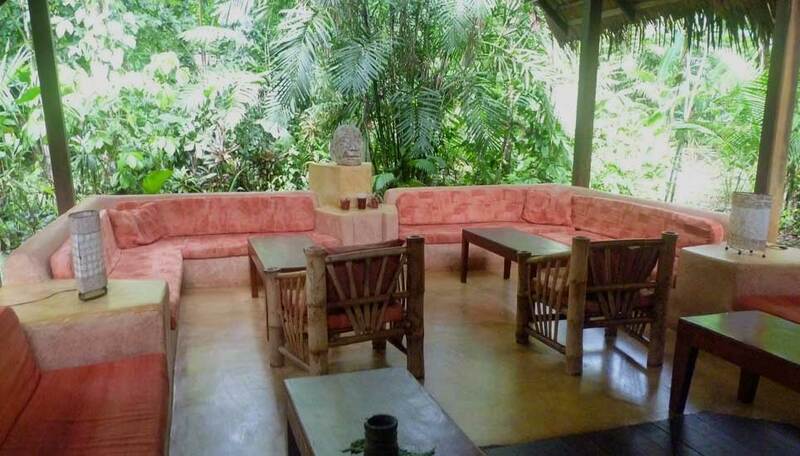 Come to Shawandha Lodge for tranquillity and relaxation. The lovely ocean-side setting, easy going Caribbean lifestyle and smiling staff combine to put you at your ease from the moment you arrive, and with gorgeous tropical gardens, an unspoilt sandy beach and tasty French-Caribbean cuisine, you may want not feel the need to stray beyond the lodge. 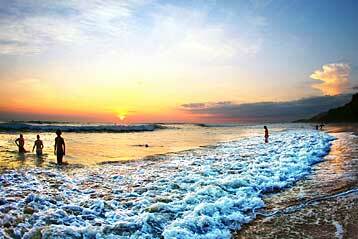 Should you wish, there are watersports and rainforest tours, all of which can be arranged locally. Among the main available activities are birdwatching, night expeditions, yoga sessions, river kayaking, waterfall tours, snorkelling, dolphin sightseen, rainforest hikes, massages, artisanal hand fishing, learning about alternative energy and sustainability, stand up paddle board classes and tours. After a long active day and a romantic candlelit dinner, nothing tops going to bed with the gentle sounds of the wildlife at the rainforest. Shawandha’s lush forest is perfect for bird spotting, with around 100 species seen here including toucans and hummingbirds. 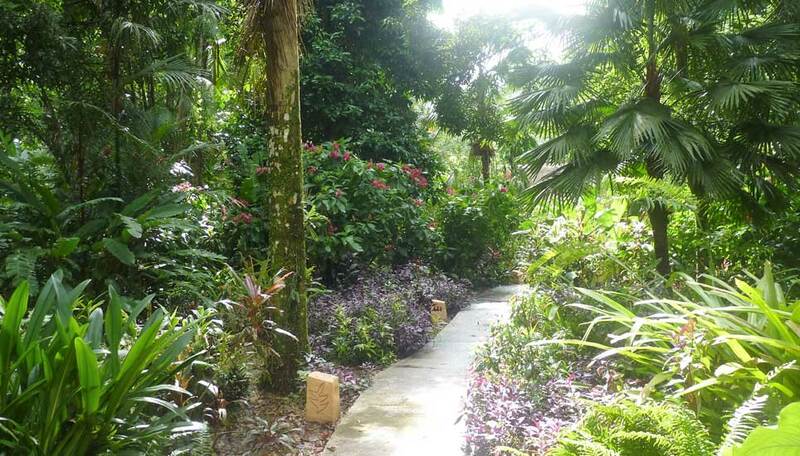 On a walk in the grounds you’re also likely to see frogs, lizards, agoutis and sloths, and you will probably hear the howler monkeys before you see them! In the mornings you wake to their calls mingled with the sounds of birdsong – Shawandha’s ‘alarm clock’! Accommodation, daily breakfast, Wi-Fi and wired internet access, car parking. There are 14 spacious, high-ceilinged, thatched roof bungalows with gauze windows and rustic-style furniture giving an air of easy beach living. 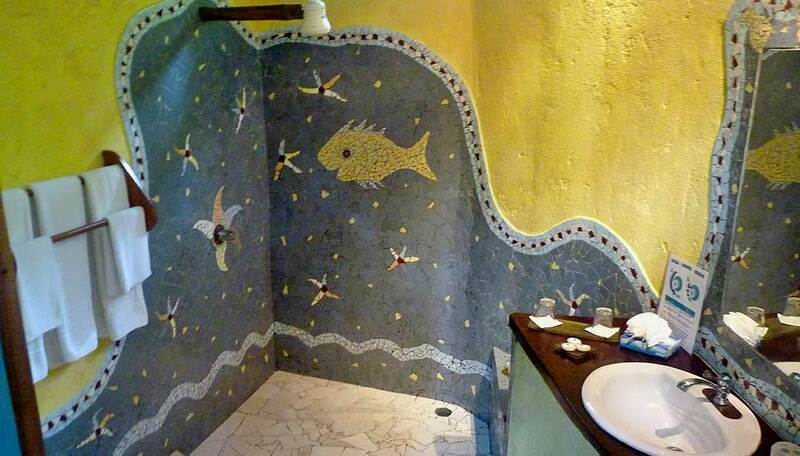 All have large en-suite bathrooms with decorative tiles unique to each bungalow and a supply of toiletries, and have a covered terrace with a sofa and hammock. They are equipped with ceiling fans, a safe and hairdryer. 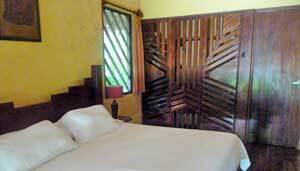 Children are welcome and some bungalows are large enough to accommodate up to 2 adults and 2 children. There are no specific activities for children. There is free Wi-fi in the lounge and restaurant.